At the beautiful spa-like facility at the Washington Center for Dentistry, in Washington, DC, Dr. Rinaldi is the guy who is constantly busy—doing hundreds of smile transformations. High-level bureaucrats, industry leaders, professional athletes, women—and men—of all ages trust him with their makeovers. 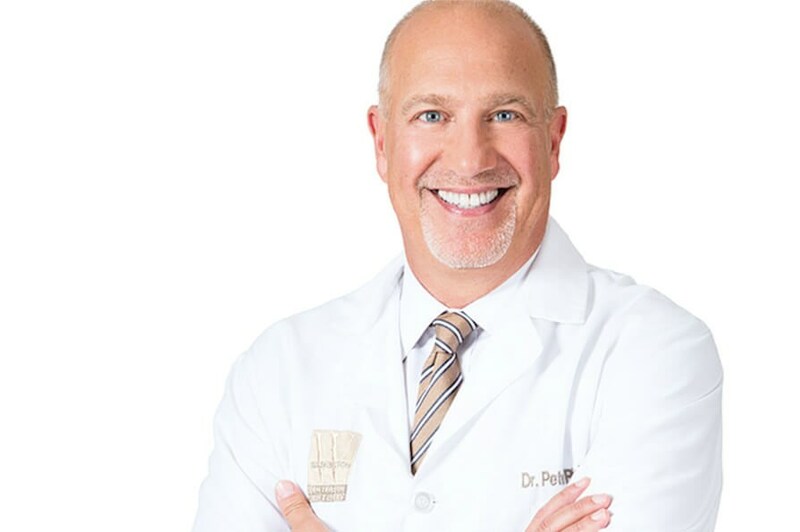 Dr. Peter Rinaldi: “People say a rejuvenated smile does more for their aging face than a face lift." And he is happy in the “weeds” of his calling: His “smile-talk” is laced with dizzying cosmetic terminology, like “high-tech reshaping lasers,” “intricate face-bow measurement devices” and an “artistic ceramist” lab team to create lustrous veneers and crowns of the finest grade porcelain. Technology aside, he notes that the important thing is a smile design created for each individual—a personalized plan that fits best within the unique factors of a patient’s face. Constant upgrades in materials, methods of measurement and fabrication are great, but it all comes down to the specific esthetic plan. “Now, we can customize like never before,” he says. 1.Veneers and Crowns: “Veneers do a lot of heavy-lifting toward rejuvenation,” says Dr. Rinaldi. “I can control shape, color, luster and alignment—creating smiles that people should have been born with.” He notes that these thin, contact-lens-like, all-porcelain restorations, dramatically change a smile for the better! All-porcelain crowns are also used for this purpose. Crowns are used instead of veneers when too much tooth structure has been lost or damaged. 2.Whitening Teeth: Lighter teeth, with either an in-office bleaching session under a gentle blue light or with at-home bleaching trays, brighten the look of a smile, radiating warmth. “Dark teeth always make people look older,” says Dr. Rinaldi. That’s why his patients often choose whitening as “step one,” before their new veneers or crowns are made. The porcelain restorations are matched to a lighter color to lighten the smile. 4.Gum Re-Shaping and Gum Bleaching: Dr. Rinaldi deals with many smiles that suffer from a gum line that is uneven or too low. “When more gum tissue shows than is necessary, teeth appear shorter, less appealing,” he says. By merely removing extra gum tissue, and lifting the gum line, Dr. Rinaldi creates a younger look to a smile. Gum lines are re-contoured through advanced dental laser technology. This procedure is painless. Gum Bleaching helps patients whose gum tissue is dark or less pink than they’d like. Dr. Rinaldi uses advanced laser technology for this gentle procedure. 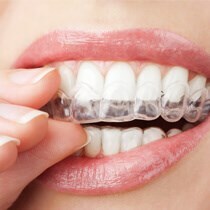 5.Straightening Teeth: Invisalign—“invisible braces”—is a wonderful, adult-friendly way to straighten a smile. Patients find that wearing a series of custom-made, clear plastic trays is an extremely easy way to realign teeth—without anyone knowing! Many Invisalign users wore braces during childhood, and their teeth have shifted. To view how Dr. Rinaldi has transformed patients’ smiles, click here to see before-and-after photos of actual patients. Call 202.873.2688 to find out more about cosmetic and general dentistry and to schedule a free consultation at the Washington Center for Dentistry. – J.S. Ronette is a Washington D.C. writer.